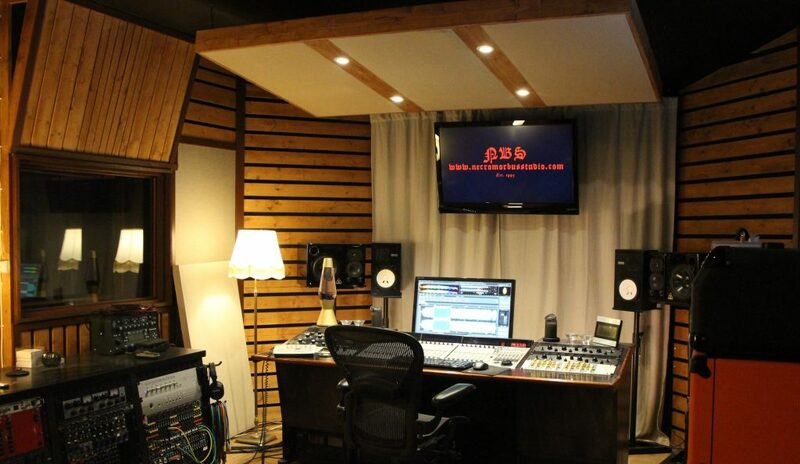 NBS Audio Studio (a.k.a. Necromorbus Studio) is located in Stockholm, Sweden, where we for more than 20 years have worked with numerous artists. Starting out mainly as a demo recording facility, the studio has over the years grown to become well established for rock and metal recordings. Nowadays we work almost exclusively with larger-scale productions, as well as with mixing and mastering of material recorded elsewhere.